Using and abusing dynamic parameters. How many time have I heard this question from other PowerShell enthusiasts: “when cmd.exe is going to die”. Or at best “when will PowerShell.exe become default when user asks for command line”. It’s not so in Windows 8 Developer Preview, not sure what to expect in final release, but kind of don’t expect it to happen anytime soon. 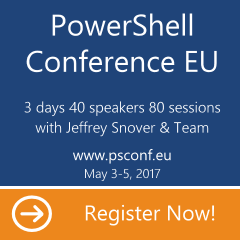 What is most frustrating for some is the fact, that server core still expects us to type “powershell.exe” once we boot.